"You state the board approved a '$165,000 retroactive payment.' That is not what occurred. The board approved an increase in the total amount billable during the life of the contract which runs through June 30. CIRM also made it clear that it did not expect to need the full amount. The only retroactive piece is for the hours billed in April and May, which while not yet invoiced, are expected to be under $60,000, and again this occurred because of a cancelled committee meeting in April." A key panel of CIRM directors has approved a $165,000, retroactive payment to its outside attorneys, Remcho, Johansen and Purcell of San Leandro, Ca. Details of the proposed action were never disclosed to the public in advance of approval. "Stem Cell Agency Chairman Bob Klein said Remcho billed the additional hours because of (James) Harrison's work on the agency's first bond sale, efforts to negotiate discounts in the grant awards to build research facilities and added involvement in vetting Requests for Applications (RFAs) for grants." "I suggested that retroactively approving the increase was bad policy. Klein said the item was on the agenda for an earlier planned governance committee meeting, but the session was canceled. "He said that Harrison ran up the additional billable hours at the law firm's risk, though I can't imagine the agency would have refused to pay." The California stem cell agency now says it is "mind-bogglingly silly" to think, in effect, that the total cost of the Grantium contract for a new grant management program would only be $757,000. CIRM's directors were assured last October during their meeting in San Diego that the figure was the "complete cost." The expenses were reviewed at the time in some detail by Ed Dorrington, CIRM's information technology director. Richard Murphy, interim president of CIRM, vouched for the figures as well. We raised questions about the cost in our posting below -- "CIRM Lagging" – since CIRM is seeking an additional $85,000 to perform work that is necessary for the Grantium software. "Regarding your posting on Grantium, it is mind bogglingly silly to think that a one-person IT department at CIRM could handle all the internal aspects of migrating to a new grant management system while maintaining a legacy system that is our responsibility." Our response: CIRM's chief executive told its board one thing in October. Now CIRM says something different. New, complex software installations are usually difficult. The costs should have been anticipated. That's what good management is all about. Additionally, CIRM has chosen to go lean on its staff, keeping it far less than the 50 authorized even after some directors have repeatedly worried about burnout and overwork. In fact, last December Murphy told the directors' Governance Subcommittee that he had chosen not to replace a departing information technology staffer because "the institute is now working quite well in its computer capabilities." That was two months after the Grantium contract was approved by directors. CIRM Chairman Robert Klein also chimed in at the time, praising the "lean" staffing at CIRM. Lean is good, especially in state agencies that sometimes tend to be overstaffed. But there can also be a financial cost – perhaps in this case $85,000. Less obvious is the wear and tear on employees that results from excessively long hours week-in and week-out. John M. Simpson, stem cell project director for Consumer Watchdog, commented on his blog Tuesday on the financial matters before the CIRM Governance Subcommittee today. "There is simply no excuse for the documents being unavailable the day before the meeting. They should have been there when the agenda was posted. Members of the subcommittee cannot make informed decisions when they receive documents at the last minute. Nor can interested stakeholders offer intelligent comment. "This is simply not the way to run a $6 billion publicly funded program." The California stem cell agency is only one month away from a new budget year, but it has not yet presented to its directors a spending plan for the next 12 months. This afternoon's meeting of the agency's Governance Subcommittee would have been a good time to offer the proposed budget. That would allow CIRM's directors to make suggestions for revisions and raise questions that might take time to answer. Presumably CIRM President Alan Trounson will offer a spending plan in time for the June 26 board of directors meetings, but that will come only a few days before the financial year begins on July 1. While it is too late to present a budget to the Governance Subcommittee, CIRM directors certainly can offer suggestions today about the type of information that they would like to see in the budget proposal, including a bit longer perspective than just the next 12 months. What is the anticipated impact of the Prop. 71 spending cap on operations over the next 10 years? Are there steps that need to be taken now to avoid a financial crunch later when less flexibility may exist? Given the heavy reliance on outside contracting, are steps being taken to assure that the staff, which is trained mainly in scientific matters, performs well in selecting and monitoring contractors? What steps are being taken to assure that outside contractors do not have conflicts of interest that could motivate them improperly? Do the proposed $500 million biotech lending program and administration of the $1.1 billion lab construction effort pose special oversight issues? The California stem cell agency plans to post on its web site later today a key financial document on its legal, lobbying, public relations and other outside contracts, less than 24 hours before the report is to come before a panel of the agency's directors. The document reviews some of CIRM's spending this year for outside contractors, who consume the second largest amount of money in the agency's operational budget (see item below). However, the document was missing even a guess at how much will be spent by the end of this fiscal year, which is about one month away. The report only covered expenditures for contracts through February. It also contained no total for all outside contracts through February. Nor did it appear to specify all of the ongoing obligations resulting from multiyear contracts. A quick look at the document showed that CIRM has contracted for $596,899 worth of legal services, apparently mostly for the first three quarters of the year. The figure included $250,000 for the Remcho law firm(see item below). CIRM also spent $100,000 with the State Department of Justice. CIRM has had seven attorneys or law firms on its staff or under contract during the reporting period, including a general counsel. Joining the agency recently is attorney Nancy Koch, who won a $150,000 contract for intellectual property, most of which will be spent during the next fiscal year. We should note that our $596,899 figure does include $36,900 for the Nielsen, Merksamer law firm of Sacramento, Ca., which performs lobbying services among other things. CIRM classified Nielsen's services under "public education" rather than legal services or lobbying. Our total for legal services does not include, however, $20,000 for the Rubenstein Associates PR firm of New York City. In February, the Consumer Watchdog group disclosed a $10,000 CIRM contract with Rubenstein through the Remcho law firm and said CIRM was "laundering" its PR advice through Remcho. It was not clear whether the $10,000 figure in February was part of the $20,000 reported by CIRM in today's outside contracting report. After a flap developed in 2005 about outside contracts, CIRM directors told CIRM staff to provide quarterly reports on outside contracting. The last came in December 2007. Look for a link to the outside contracting report under the Governance Subcommittee agenda. Its meeting is scheduled for 3 p.m. Wednesday in Los Angeles with teleconference locations in San Francisco at CIRM headquarters, Sacramento, La Jolla, Carlsbad, Palo Alto and Stanford. All of the locations are open to the public. A key committee of directors of the California stem cell agency on Wednesday will examine one of the most important aspects of the $3 billion institute's operating budget, but one that remains hidden from the public with only one day left before the matter is to be aired. One can only speculate about the reasons for the secrecy. Perhaps it is a deliberate and quite possibly illegal attempt to avoid public scrutiny of CIRM's outside contracts, which are the second largest element in its budget. Or perhaps the secrecy is related to CIRM's inability to produce budget documents in a timely fashion. Whatever the reason, both are causes for concern. After nearly four years, CIRM should be able to produce routine budget documents quickly. Trying to avoid public scrutiny is hardly fitting for an enterprise that styles itself as an exemplar of bioethics and openness. Withholding the information also makes it virtually impossible for the public or other interested parties to comment intelligently before the CIRM Governance Subcommittee, which convenes on Wednesday to examine the agency's $2 million or so in outside contracts. CIRM has an operating budget of about $8 million. The largest item in the budget – something like $5 million -- goes for benefits and salaries, including two salaries that rank among the top 10 highest for California state employees, according to a San Francisco Chronicle story this past weekend. When we cite the budget figures, we must qualify them with terms such as "or so" and "roughly" because CIRM's latest effort at a budget is something of a hodge-podge, missing such things as updated totals with year-to-year comparisons. The most recent available document came up last December. It appears to show something like a $200,000 to $600,000-plus increase in outside contracts since last June, although some of that will be for the 2008-09 budget year. Up for consideration at Wednesday's Governance meeting is a modification in the roughly $500,000-a-year contract for legal services with the law firm of Remcho, Johhansen & Purcell of the San Leandro, Ca. The Remcho contract is on top of the salaries of four other attorneys working for CIRM including a general counsel but not attorney/Chairman Robert Klein. James Harrison is the lawyer with Remcho who appears to do most of his firm's work for CIRM. He has been working with Klein since at least the 2004 campaign for Prop. 71, which created CIRM. Harrison wrote portions of the initiative as did Klein. Harrison appears to be a skilled and competent attorney. The agenda item on his contract suggests that it will be extended or perhaps payments will be increased or both. It is not likely that Klein is bringing the contract before the directors in order to cut it. How much is the proposed increase? We can't tell you. CIRM will not disclose details of the budget item. We began asking for some indication of the details on May 22. At first we were told that the information would not be made public until tomorrow morning, one day before the meeting. That raised a question of whether a document on the matter existed at CIRM. In that case, it would be a public record that would have to be disclosed under state law. We were then told that all of the information about the matter was "verbal," as of last Friday. We were told at another point that a one-page, proposed unsigned contract extension existed for Remcho but that it was deemed not to be a public record. Whatever the actual facts are, it would not be the first time that public information has been withheld by CIRM for reasons that are difficult to understand. One memorable case last year involved a $31 million proposal by the California State University and College system. Klein's office refused to release the document, but the California Stem Cell Report linked to it after finding it on a non-CIRM Internet site. Also on the agenda of the Governance Subcommittee, which is chaired by former Hollywood studio executive Sherry Lansing, is more information that is not available to the public. It deals with a look at all the outside contracting, but again we can tell you nothing further about its specifics because CIRM has chosen to withhold the report. CIRM's staff is capped by law at 50(currently it has only about 26 employees). And "privatizing" some of its work work is necessary and makes good sense. But the use of outside contractors by government agencies requires careful selection and keen oversight. The California legislative analyst said in a lengthy report in 1996 that outside contracting problems for state government include accountability, accurate cost comparisons and quality control. We also wonder whether it is possible for CIRM's tiny staff to properly monitor a host of contractors, particularly in the case of the proposed $500 million biotech lending program. "While there are some services that are best performed by outside contractors, there is a real danger of going outside when it's unnecessary and the work should be performed by staff. "For instance, while I greatly respect James Harrison's abilities as a lawyer, I am hard pressed to understand why the stem cell agency spends so much on an outside legal counsel when it has a staff counsel. "The point is that contracts with outside vendors offer a multitude of opportunities for waste and abuse. All of them must be closely evaluated by the oversight board. Moreover, circumstances change. Some of what made sense to be contracted out as the institute was in start-up mode, might now be more appropriately handled by staff." The California stem cell agency's new e-alert drew a modest reponse on its first day. In response to a query, Don Gibbons, chief communications officer for CIRM, reported that 24 persons on Friday requested email alerts for RFAs. Twenty each sought them on press releases, CIRM events and consumer news. The California stem cell agency beefed up its web site today, adding key links and information as well as tools for those who would like to follow its affairs closely. The move is part of a communications and public relations effort this year that includes adding more staff and hiring outside firms to provide assistance. In addition to the web site improvements, CIRM this week posted an RFP for a PR firm to provide $110,000 worth of help. The agency also wants to hire a communications manager on staff at a salary of up to $120,000. It has signed a $90,000 contract for a communications special project manager. And it is about ready to sign a deal for an overhaul of its web site. One of the more significant improvements today on the CIRM web site is a provision for email alerts on the agency's activities. Called e-alerts, they permit CIRM fans or foes to sign up for automatic email notification in the following areas: RFAs and "other news for researchers," press releases, meeting and event announcements and consumer briefs. Since CIRM's very inception, tracking its affairs has been difficult because it was not always clear when new information was posted on its web site. The e-alert service is a major step forward in addressing the problem. However, the e-alert sign-up has one minor flaw. It has a limit of 35 characters on the e-mail address of subscribers. But we suspect that is not likely to be much of an issue for most persons. Also new on the CIRM site is an "about stem cells" feature, that includes definitions of key terms, links to major outside sources and a rundown on stem cell research that has been financed by CIRM. The agency has also combined the previously separate job opportunities and RFPs on the same page. All of this comes under the domain of Don Gibbons(see photo), formerly of Harvard and Stanford, who came aboard last February as chief communications officer. He replaced Dale Carlson, who left last fall to return to the private sector. CIRM President Alan Trounson, himself in place fulltime only since January, early on identified public outreach and education as one of his main priorities. CIRM's strategic plan calls for spending as much as $4.5 million on the effort. "To an unusual degree, stem cell research is in the public eye. Its progress is keenly followed not only by scientists and clinicians, but by ethicists, legislators, politicians, social scientists, and those interested in public policy. Most importantly, patients and their families feel a deep involvement in stem cell research. The engagement, support and interest of this broad constituency are a great strength for CIRM. It also confers a responsibility for the Institute to communicate and interpret the results of stem cell research in many venues and to be aware of its broad impact on society; effective communication that fosters awareness is an imperative for CIRM." Earlier this week, CIRM posted the $110,000 RFP for a PR firm to research and make recommendations concerning negative and positive perceptions of CIRM among opinion leaders. The proposal also seeks assistance in generating coverage in national media. "Given CIRM’s position as the No. 1 funder of this stem cell work, the CIRM perspective should be included in every major overview piece in these national outlets. CIRM staff has excellent contacts in traditional print national news outlets and is looking to fill gaps in national broadcast outlets and in national opinion and thought-leader magazines." The contract also calls for the firm to provide news clipping service on stem cell issues for daily email distribution to about 150 persons. The $90,000, special projects RFP this month went to Ellen Rose, who was brought in last year on an interim basis, Gibbons said. She was formerly with Alza, a drug delivery subsidiary of Johnson and Johnson. We are a believer in performance-based public relations efforts. Positive coverage of CIRM and hESC research doesn't necessarily happen on its own. Reporters and editors are awash in information. Getting their attention is especially difficult in these days of shrinking staff and space in the print media. Good public relations also means building contacts and trust that will serve the agency well when the inevitable bad news arises, including the "potential tragedies" in clinical trials warned of by CIRM Chairman Robert Klein. But good-news stories are fundamentally based on the agency's own performance, responsiveness and openness. Without a solid track record, no amount of spin or rhetoric can gloss over weaknesses and failings – at least in the long term. 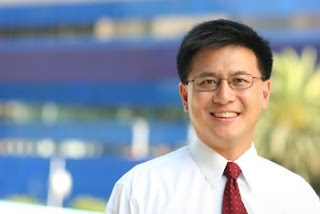 Here is the text of the letter from California's top financial officer, Controller John Chiang, endorsing SB 1565, which is aimed an ensuring affordable access to CIRM-financed therapies. It would also require an independent study of the stem cell agency next year along with recommendations for changes in its operations. The Chiang letter was sent to state Sen. Sheila Kuehl, D-Santa Monica, author of the legislation, which has passed the Senate and is now before the Assembly. "I write in support of Senate Bill 1565, legislation to help ensure that uninsured and low-income Californians have access to affordable therapies and medications resulting from the State's $6 billion investment in stem cell research. This bill will codify the intellectual property standards for stem cell grant recipients promulgated by the California Institute for Regenerative Medicine (CIRM), requiring each grantee to submit a plan that will afford uninsured Californians access to any drug that is, in whole or in part, the result of research funded by the CIRM. "SB 1565 also requires the Little Hoover Commission to conduct a study of the governance structure of the California Stem Cell Research and Cures Act. As chair of the Citizens Financial Accountability and Oversight Committee (CFAOC), which was created by Proposition 71 to oversee the finances of the publicly funded stem cell research program, I welcome stricter accountability and oversight in order to ensure the public's confidence in the stem cell program. The California stem cell agency's sweeping, $1.1 billion stem cell lab construction program appears to have hit what we call here in Mexico a "tope." The Silicon Valley Business Journal is reporting that lab plans at UC Santa Cruz have run smack into that perennial California issue – water. The proposal to build a stem cell research facility on the campus is now on indefinite hold. Just two weeks ago, CIRM directors approved a $7.2 million grant to help with the center. However, the Business Journal piece by Lisa Sibley said the project cannot proceed until the university resolves its water fight with the Santa Cruz City and County. At issue is where the campus will find the additional water for its future growth. All of which could amount to a significant "tope," as the bone-jarring speed bumps in Mexico are known. "While the EIR (environmental impact report) for the biomedical facility was challenged in court, all parties have been participating in mediation talks to settle the litigation. We are very optimistic about the outcome of these talks and expect that construction of the biomedical building, which will house the stem cell center, could begin early in 2009." CIRM is requiring lab grant recipients to complete their projects in two years(2010), an admirable goal but one that may be difficult in a state that is famous for lawsuit-happy environmentalists, slow-working government bureaucracies that must issue permits and approve plans and activist community groups, such as the glider enthusiasts that are balking at stem cell lab plans in the San Diego area. For readers not familiar with California, water is an enormous issue in the state, which is basically a desert, especially in the most populated areas. In many cases, water must be piped in hundreds of miles to meet the needs of industry and agriculture, which are by far the largest users of water. Households come in a distant third. As Mark Twain once remarked, "Whiskey is for drinking. Water is for fighting over." California's top financial officer, John Chiang, is backing legislation aimed at dealing with conflicts-of-interest at the state's $3 billion stem cell agency. Alex Philippidis, editor of the BioRegion News, reported on Monday that state Controller Chiang believes that the bill by Sen. Sheila Kuehl, D-Santa Monica, is the "best hope" for eliminating conflicts of interest at the agency. The legislation, SB 1565, has already cleared the state Senate on a 40-0 vote and is now before the Assembly. Among other things, it would require the state's Little Hoover Commission to examine CIRM and make recommendations by July 2009 for changes in its structure and operations. "The controller believes that the public accountability is critical to ensure public confidence in the stem-cell program, that their dollars are being spent on finding cures through stem cell research, rather than benefiting individual biotech companies or institutions that are conducting the research. Transparency and accountability to the public about how their dollars are being spent is important." "'If the public is not confident that their investment is being adequately protected and that they’re not going to see any financial benefits from the research as promised, then the public is likely going to be less inclined to support funding future research,' Jordan said." Chiang, a Democrat who was elected in a statewide vote, and John M. Simpson of Consumer Watchdog filed complaints with the state Fair Political Practices Commission last year concerning a violation of CIRM's conflict-of-interest policy. The still-pending case involves CIRM director John Reed of the Burnham Institute, who attempted to influence CIRM staff on behalf of a $638,000 grant to his institution. Reed's action came at the suggestion of CIRM Chairman Robert Klein. "And while CIRM generated nearly 13 times, or $4.55 million, above its 2006 fiscal year revenue — almost all of it through higher investment earnings — expenses dropped by $6.1 million. "That $6.1 million figure reflects the difference between a $13.6 million cut in research grant expenses and two expenses that rose in FY ’07: Operational expenses that zoomed up 47 percent or nearly $2 million; and interest expenses on its bonds that rocketed 25-fold over the previous year ($5.5 million, vs. $225,416). CIRM cut another $2.1 million in operations costs, however, by cutting back on travel and meetings. "Not recorded in the audit: The $1 million 'fair' value of CIRM’s roughly 20,000 square feet of office space donated by the city of San Francisco to the stem-cell agency free for 10 years. CIRM moved into that space in November 2005." Access to the BioRegion News article is available through free registration, we are told, despite what appears to be a requirement for a paid subscription. The California stem cell agency is offering another round of grants that is open to firms headquartered outside the state – a $20 million program aimed at developing tools and technology for stem cell research. And this time, a non-California firm can submit up to four applications for grants. The latest proposal comes as some in the California biotech industry and state lawmakers are attempting to compel CIRM to follow through on the Prop. 71 requirement to give preferential treatment to California businesses. The grant program and the California supplier issue are operating on different tracks but both affect state businesses by either restricting or increasing competition from non-state firms. First the new tools and tech proposal. It is open to both education and research institutions in California as well as businesses. The key catch for businesses is that a research site must exist in California at the time the grant application is submitted, which may or may not be on application deadline July 10. If CIRM holds to past practice, it will not check on whether the research site exists until after the grants are approved, in this case next December or even later. Nor does CIRM define what it means by research site. So there is plenty of time to pick up some likely property in California and prepare it for use. The application does, however, require a short description of facilities in which the work will be done and the major equipment and resources available. The grant proposal came up after CIRM was pressured in March to follow through on the Prop. 71 requirement to give preferential treatment to California firms. Assemblyman Gene Mullin, D-San Mateo, is carrying a bill to define the term "California supplier" as it applies to CIRM. His legislation, AB 2381, has already passed the Assembly 75-0 and is now before the Senate Health Committee. Under the push from legislators and industry, CIRM directors have moved ahead on their own regulatory definition of California supplier. It is more open than Mullin's proposed law to enterprises from out-of-state and declares that a California supplier is any that employs at least one-third of its employees, with a minimum of 100, in the state. Or, a California supplier could also be one that "produces, builds, or manufactures a product or products in California for the specific product or products which are used by CIRM grantees." At the CIRM directors meeting earlier this month, Duane Roth, one of the directors who helped draw up the language, said that the wording is intended to deal "with a product that's manufactured in California, but the headquarters of the company who owns them is not in California. That product would qualify as a, quote, California supplier, just that product, not the company, but the product." Tony Lakavage of Beckman Dickinson, a global medical technology company with operations in San Jose, Ca., spoke on the supplier issue at the directors meeting. He said the firm has 1,500 employees in the state but 30,000 worldwide. He said that products made in California by his firm would apparently qualify for purchase but other global companies might have difficulty qualifying. He urged a definition that relied on the economic impact of a company in California, according to the transcript of the meeting. James Harrison, outside counsel to CIRM, presented the California supplier issue to the directors. Alan Trounson, who is in his fifth month as president of CIRM, told directors that neither he or the CIRM staff had seen the definition proposed by Harrison and that "there are issues we would have with this." CIRM Chairman Robert Klein apologized to Trounson for not bringing the matter to him. CIRM directors indicated that more work needed to be done on the definition as it moves through the regulatory process. While the application deadline for the tools and tech grants is July 10, potential applicants must file letters of intent by June 11. Otherwise, they will not be considered. Actual funding is scheduled for no sooner than March of next year. The first round of grants open to out-of-state firms was a $25 million offering on new cell line proposals. Those grants are scheduled to be approved late in June. In an exuberant essay in the leading newspaper in Silicon Valley, an official of the California stem cell agency has touted its $271 million in lab construction grants as bold evidence of "the economic might of the little stem cell." David Lichtenger (see photo), chairman of the Facilities Working Group at CIRM and head of Integrated Facilities Solutions of Palo Alto, Ca., wrote the op-ed piece that appeared May 16 in the San Jose Mercury News. "Stem cells are tiny. In fact they are microscopic. Yet, they might prove to be the mighty engine not only for medical advances, but also for the ailing California economy. "The economic might of the little stem cell was boldly evident earlier this month when the California Institute for Regenerative Medicine (CIRM), the state's stem-cell agency, awarded $271 million to 12 universities and research institutions to build new stem-cell laboratories." The economic impact of stem cell research was one of the main arguments behind passage of Prop. 71, which created CIRM in 2004. It continues to play a major role in the justification for CIRM's $3 billion in spending. We believe the agency has a responsibility to tell the story of its work and to maintain and build public support. Call it marketing, public relations, public education or whatever. Fundamentally, it is all the same thing and quite necessary. Without continued public support, the agency becomes vulnerable to assaults from many sides. However, long after the last Prop. 71 vote was counted, the grandiose economic claims from the campaign generated blowback, including a study from a UC Berkeley economist Richard Gilbert debunking them. The agency last year also seemed headed for production of another economic study to justify its existence. More recently the proposed $500 million biotech loan program promised handsome returns even at default rates of up to 50 percent. All of which indicates a need for some perspective. CIRM leveraged its $271 million in lab grants into a $1.1 billion program that will certainly generate hundreds, if not thousands of construction-related job. However, the biotech industry, which goes well beyond stem cells, is a tiny player in the California economy. It accounts for something over 100,000 jobs, according to a state report, a mere piffle compared to the total workforce of 18 million in an economy that runs at around a mammoth $1.7 trillion annually. And CIRM's $271 million does not even surpass the $356 million being spent on San Quentin's "condemned inmate complex." That said, CIRM's lab grants have indeed generated a long overdue investment in the science side of California's infrastructure. CIRM deserves ample credit for handily leveraging its dollars. The agency is also preparing to make another substantial contribution this year to the state's intellectual capital with $66 million in training programs. Lichtenger's essay was reasonably measured and nicely written. However, it is doubtful that stem cells will be the "mighty engine" for the "ailing California economy" any time in the foreseeable future. It behooves CIRM to exercise judicious restraint as it touts its achievements. Managing expectations is the key, and the best course is to avoid over-promising. Gern Talk, a web site devoted to discussions of matters related to Geron, has picked up a recent piece by patient advocate Don Reed along with our report, "Harsher Realities," on the FDA hold on Geron's clinical trials. Reed raised his previous concerns regarding the most recent FDA action. But he also had a note about a discussion involving the FDA hearings last month dealing with clinical trials and stem cells. "...a possibility that the FDA might put in a condition that embryonic stem cell trials might only be allowed for dying patients. This would be a disaster, meaning that human trials for embryonic stem cells to heal blindness as well as paralysis and other non-life-threatening conditions could not go forward. He asked for volunteers on the board to be on a special FDA committee. Board members Jeff Sheehy and Leeza Gibbons very kindly volunteered for the chore! "But the overall response from almost everyone (and these are supporters of the research, good people, whose opinions I respect) was that the situation would be handled on the basis of scientific merit, and the safety of the patients, nothing more. Again and again people said, no, no, everything is fine, don’t worry." "Those of us who support embryonic stem cell research should urge caution, not haste. A botched clinical trial will set the field back years, if not decades." On a unanimous 40-0 vote, the California State Senate has passed legislation to ensure affordable access to CIRM-financed stem cell therapies and to require a study that could lead to reforms in the agency's complex and unique structure. 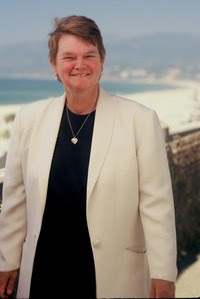 The measure (SB 1565) by Sen. Sheila Kuehl(see photo), D-Santa Monica, now goes to the Assembly for further action. The bill was on a "special consent" calendar Thursday, indicating that no controversy existed concerning it. There is no indication that there was any debate on the measure. The California stem cell agency has taken no position on the legislation. At least one analyst is minimizing the impact of the FDA's hold on Geron's clinical trials for its human embryonic stem cell product. Ren Benjamin, an analyst with Rodman & Renshaw in New York, told Bloomberg News earlier this week said that he thinks the company will "be able to work through the issues with the FDA." However, the reality is likely to be a tad harsher. The hold is the second pronounced signal in two months from the FDA that it wants to proceed with extreme caution on hESC trials. And the action has stirred some concerns in the patient advocate community, which has pressed for more speed on the research. "The FDA hearings on embryonic stem cells have been (in my view) deeply politicized, setting the stage to block human trials, an enormous setback." Reed referred to the FDA hearings last month during which the bugaboo of teratomas was raised by the FDA. Monya Baker of Nature's Niche stem cell blog covered the meeting. On April 11, she wrote that the consensus from attendees at the meeting was that the FDA "seems cautious about moving forward, but not spooked." But then came the FDA hold this week. It had to be a bitter pill for Geron. Thomas Okarma, CEO of the company, said that the company had spent four years working with the FDA and amassed 21,000 pages of documents to alleviate the agency's concerns. Geron's stock took a big hit on the day the hold was announced, dropping to a 52-week low of $3.76. It stood at $3.97 at the time of this writing, compared to a 52-week high of $9.85. Geron has been mum since Okarma's statement along with Novocell and Advanced Cell Technology, although we have asked for comments from all three. We are likely to hear more from Geron after it receives the FDA's written concerns. For a patient advocate's take on legislation aimed at ensuring affordable access to CIRM-financed therapies, take a gander at the May 13 posting by Don Reed on his blog, stemcellbattles.com. Earlier this week, Reed (see photo) was the only person to testify before the state Senate Appropriations Committee on the measure, aside from the bill's author, Sen. Sheila Kuehl, D-Santa Monica. Reed's view is that CIRM's regulations, which can be easily changed unilaterally by CIRM, are sufficient to provide affordability. He also contends that an outside study of CIRM's structure is unnecessary and that its built-in conflicts are only a "convergence of expertise." We should note that last week most of the experts on the panel were barred by law from even discussing -- much less voting on -- $271 million in grants because of their conflicts of interest. Reed is a regular at meetings of the board of directors of the stem cell agency and is vice president for public policy for Americans for Cures, the private advocacy group directed by CIRM Chairman Robert Klein. Kuehl's bill, SB 1565, was approved 14-0 by the committee and is now on the Senate floor. In addition to codifying in state law affordable access, the measure would require an independent study of CIRM by a state agency known as the Little Hoover Commission with recommendations for reform. A note on the analysis from the Appropriations Committee says that the Little Hoover staff contends that the legislature does not have the legal authority to direct its work. An opinion as been requested from the Legislative Counsel's office on the question. However, the Legislative Counsel works for the legislature and is inclined to find ways for lawmakers to do what they want. Here is a link to the floor analysis available to California state senators as they consider the measure. Here is the full text of the statement by Geron CEO Thomas Okarma(pictured) on the FDA's "verbal" hold on the firm's proposed clinical trials. "We have not yet received a letter from the FDA explaining the decision to place the submission on hold, so we are unable to comment specifically. Once we have the letter and have had a discussion with the agency, we will communicate our findings and our thinking to shareholders. We are disappointed with this action given the interactions we had with the FDA over four years leading to the filing, and the breadth and depth of the submission, some 21,000 pages, predicated on those discussions with the agency." The FDA slammed on the brakes today on Geron, which had been hoping to launch clinical trials this year on a treatment for persons with spinal injuries. News reports said it was unclear why the FDA imposed the clinical hold on the test, but it is good bet that the action could be linked to the FDA's hearings last month on stem cell clinical trials. Cautionary notes seemed to be the order of the day at the session. Geron said it was disappointed in the action. The company's stock plummeted nearly 20 percent following the news, closing $3.94. Steve Johnson of the San Jose Mercury News and Monya Baker of the Niche blog for Nature magazine both wrote today about the FDA action. One of the top five stories last week on Bioethics News was the New York Times report on California's awards of $271 million to build new stem cell labs, according to the site's blog. How do you turn $500 million into as much as $1 billion over 10 years? Loan it to struggling biotech companies that could default on the loans at a rate of up to 50 percent. Sound too good to be true? Maybe, but that's what the California stem cell agency is projecting for what appears to be the most optimistic scenario for its proposed biotech loan program. The program came up for discussion last week at the CIRM directors meeting. John M. Simpson of Consumer Watchdog attended the session and filed an item for his group's blog. Simpson wrote that the concept "appears promising" but he still had questions. "The main one is with CIRM's limited staff, how will loan applications be adequately vetted? Robert Klein, chairman of the stem cell agency's Independent Citizens Oversight Committee (ICOC), has suggested using outside 'designated underwriters.' Lots more needs to be made clear about how that would work and how conflicts will be avoided." We have written previously about the same concerns. But with the new economic models that were laid out last week, a need has arisen for a sharp-eyed, detached business analysis of the plan. It would also be useful to see that analysis in a form that is reasonably accessible. The documents available so far on the latest agenda of the Biotech Loan Task Force are fairly technical and somewhat incomplete. For example, they do not explicitly lay out a range of scenarios from the best to the worst. Two fundamental questions are yet to be addressed about the biotech loan program: Is it a "good way" to turn $500 million into $400 million or less -- instead of $1 billion? And what is the likelihood that might occur? Risk cannot be removed from this intriguing plan, but it should be fully understood. Earlier this afternoon we asked Don Gibbons, chief communications officer for CIRM, if the agency had any comment on the state controller's audit(see item below). Here is his response. "We are thrilled that the auditor found that our policies and procedures are working. The one minor issue related to specialists who call in to assist in grant review and signed conflict forms prior to the call, but not afterward, and that fix was put in place already at the April 9-11 grant review session." California's top financial officer today said the "administrative processes and expenditures" of the state's stem cell agency are "proper" and in compliance with the Prop. 71, the ballot initiative that created the agency in 2004. The audit by the office of state Controller John Chiang made one recommendation. It involved CIRM's grants working group, where specialists failed to follow a policy requiring them to sign post-review certification forms that cover conflicts of interest, confidentiality and non-disclosure of information. CIRM said it agreed with the recommendation and has taken steps to correct the situation. "Under Prop. 71, none of these disclosures are open to public review. They should be." Chiang (see photo), who is a Democrat and was elected by statewide vote, ordered the audit last year following stories about violation of conflict of interest rules by a CIRM director (first reported by the California Stem Cell Report). However, the scope of the audit was limited largely to accounting and compliance matters because that falls within the scope of the controller's office. Simpson said in a news release that the audit ignored "fundamental flaws" at the agency. "The problem is that Prop. 71 deliberately created an oversight board that is fraught with conflict," said Simpson. "The board is dominated by representatives of the very institutions that will receive most of the $3 billion in research funds handed out. Controller Chiang found that CIRM is following Prop. 71’s rules, but those rules specifically put the foxes in charge of the chicken coop." "The FPPC investigatory procedures may disclose additional issues, facts, and circumstances beyond the matters noted in our review, as our review was not an investigation." CIRM President Alan Trounson, in a response to the controller's office, said that CIRM was "pleased by the many positive findings." "It is of overriding importance to us to ensure that California have full confidence in the integrity of the processes we use to commit public funds to stem cell research." Release of the audit came on the same day as the state Senate Appropriations Committee unanimously approved, 14-0, legislation by Sen. Sheila Kuehl, D-Santa Monica, aimed at ensuring that Californians have affordable access to CIRM-financed therapies. The measure, SB1565, would also require a study next year aimed at policy issues concerning CIRM, including its difficulties with conflicts of interest. The bill now goes to the Senate floor. The California stem cell agency will soon embark on a new, $66 million round of training grants, including some aimed at undergraduates and possibly community college students. CIRM directors last week approved initiation of the programs, which were overshadowed by $271 million in lab construction grants. Only one news report surfaced on the training effort. "State universities and community colleges got an invitation last week to join California's stem cell research program." The "Bridges to Stem Cell Research" grants aimed at undergraduates will total roughly $18 million. The program was foreshadowed by a $31 million proposal by the state college system last year, which had the effect of jump-starting the latest effort. Also approved last week was a $48 million continuation of the training programs already underway for CIRM Scholars. Those grants were the first ever approved by CIRM. While the training dollars are smaller than those in the lab program, they represent an important investment in intellectual capital. And they come at a time when the state is otherwise scrimping on higher education. The "Bridges" program triggered a light moment last week at the directors meeting chaired by Robert Klein, a multimillionaire, real estate investment banker. 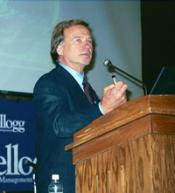 John M. Simpson, stem cell project director for Consumer Watchdog, reported that Ted Love(see photo), a member of the board of directors and CEO of Nuvelo, Inc., said CIRM should not judge the success of the program by only counting the number of participants that get laboratory jobs. "Who knows?" asked Love. "Maybe one of these students will end up being a multimillion dollar real estate mogul who supports stem cell research." "It brought the house down," Simpson said. Here are a few more links to some of the Internet coverage concerning the CIRM meeting this week during which directors awarded $271 million in lab construction grants for stem cell research. Chronicle of Higher Education -- Jeffrey Brainard put together a bit of an overview, including discussion of conflicts of interest at CIRM. The Niche, blog of Nature Reports Stem Cell – Monya Baker touches on some of the aspects of the media coverage and the need for the labs. 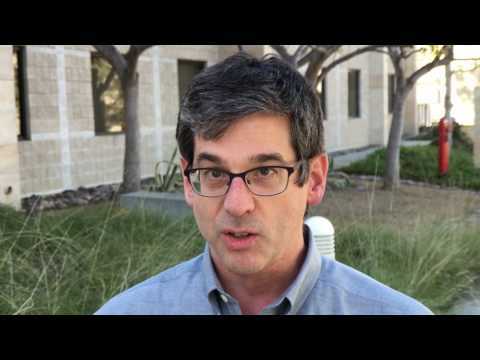 The Biopolitical Times, blog for the Center for Genetics and Society – Jesse Reynolds critiques stories by the Los Angeles Times and San Francisco Chronicle on the lab awards. The man who probably has spent more time than any other independent observer physically watching the affairs of the California stem cell agency now believes that CIRM Chairman Robert Klein did not violate the agency's no-contact rule with grant applicants. We disagree. It is a change of position for John M. Simpson, stem cell project director for Consumer Watchdog. Earlier he responded to questions from the California Stem Cell Report about Klein's actions, which you can read all about here, by saying there could have been a technical violation. "Upon further reflection, I don't believe Bob Klein violated the Facilities Working Group bylaws when he played a role in negotiating discounts if applicants take all the CIRM money upfront. "First, the applications were no longer before the Facilities Working Group. The group's work was done. "Second, the discussions weren't focused on specific applications but on a discount rate that would apply to all equally if accepted. "Not that it's relevant to whether there was a technical violation, it's also the case that everyone at the meeting -- including me - understood from the discussions that Klein would be involved in the negotiations." "Members of the Facilities Working Group shall not communicate with an applicant about an application to CIRM." The facilities group work is not really done until the CIRM board of directors act. The board has absolute authority over grant approval, as CIRM likes to point out. Directors could well send a recommendation back to a review group for reconsideration. Another possibility: Sometimes, reviewers make a recommendation that basically says a grant should be funded if there is enough cash. Let's say a reviewer, following the review group action, decides that the applicant needs a little guidance to help bring about directors' approval. He or she could contact the applicant and give them suggestions on how to successfully approach the directors. Under Simpson's construct, that certainly would be permissible. In this particular case, Klein's proposal to stretch CIRM funds was inventive and successful. But, in our view, he violated the bylaws to do it, although it seems at this point to have created no harm. Nobody is arguing he performed a dastardly deed. The California stem cell agency is bit of a strange beast politically and governmentally speaking. It was deliberately created that way by those who drafted Prop. 71, which established the agency in 2004. While the trend in government in the past few decades has been towards minimizing conflicts of interest, the voter-approved initiative installed them in spades when it created CIRM's 29-member board of directors. And there is virtually nothing that the ordinary branches of government, such as the governor or the legislature, can do about it. To alter the law concerning CIRM requires a state constitutional amendment or a nearly equally unattainable super, super-majority vote of the legislature –70 percent. "Only seven members (out of the 29 positions) could vote on the overall grant awards Wednesday -- all the rest had to recuse themselves. They couldn't even talk about the proposals. Besides the members of the board who hold their seats by virtue of their academic roles, several patient advocate members were conflicted because they work for academic institutions that had requests pending. One member is a UC regent." One of the justifications for placing persons with conflicts on the board was to tap their knowledge and expertise. Obviously, that did not occur earlier this week. Instead they were gagged by state law. The conflicts and recusals also meant that it would only take a majority of four to hand out $271 million in taxpayer funds. No vote tally was announced by CIRM in its press release, but it is fair to assume that all seven voted in favor of the grants, a foregone conclusion since last December. The California stem cell agency's $271 million lab construction effort gained additional attention today, ranging from Pravda in Moscow to Merced in the fields of California's agricultural central valley. Some stories, including those in the New York Times and on the Xinhau news service, did not use CIRM's $1.1 billion figure for the total impact of the grant program, which includes additional contributions required by CIRM of the applicants and other expenditures that are linked to the labs. Many of the stories in California focused sharply on the local angles in the program, rather than the national and international implications. In an odd story, Pravda, for reasons difficult to understand, zeroed in on UC Davis. One editor for an international news organization told us he considered the grant announcement a "local" story, which I told him was shortsighted. Adding 800,000 square feet in research facilities to house 2,200 scientists is likely to have a significant impact in the global stem cell arena for decades to come. Here in California, it was important news locally as well. "'The fact that we want to build a stem cell research facility here in San Diego and the state is willing to give us $43 million to help make that happen is pretty good,' said Louie Coffman, the consortium's vice president. 'Forty-three million dollars is a pretty good head start.'" While Coffman is out beating the bushes for cash, he said the consortium plans to seek a loan. The facility includes extra lab space that it could rent to pay off debt. "Now that it has the grant, the Buck Institute must figure out where it is going to find the other $20.5 million it will need to construct the building, plus at least another $1.4 million to stock it with equipment. "'That is a big question,'said James Kovach, president and chief operating officer of the Buck Institute." "Kovach said he will pursue several options simultaneously. He said philanthropic foundations that have adopted a results-oriented approach - 'what has been termed venture philanthropy' - should be interested in funding such a project." Most recipients of California stem cell largesse were quick to post news releases today dealing with their construction efforts backed by the state's stem cell agency. UC San Francisco offered the most razzle-dazzle with multiple renderings, a campus map and a video. UC Irvine had a video as well. All the news releases offered a quick look at the specific impact at each location. More and technical details can be found in the applications themselves on the CIRM web site. Here are links to all the recipient press releases we could find late this afternoon. UCLA – no release at the time of this writing. The New York Times and some California media carried stories this afternoon on the landmark, $1.1 billion lab construction program triggered by the California stem cell agency. More is expected on Thursday. "California has awarded $271 million in grants to build 12 new stem cell research centers in the state, even as one of the political rationales for the building program might soon disappear." Pollack reported that California stem cell Chairman Robert Klein and others say, however, that "even if the restrictions were lifted, new laboratory space would be needed to expand research and to recruit scientists, who are already flocking to California because of the availability of research financing." Terri Somers of the San Diego Union-Tribune wrote an online piece this afternoon that will probably be updated in the print version Thursday morning. KNBC TV (channel 4) and three other Los Angeles TV stations (7, 11 and 18) covered the news conference and presumably will have coverage this evening. Here is a link to the KNBC online version. The San Francisco Chronicle and San Jose Mercury News this afternoon used The Associated Press story. They may staff written stories tomorrow. The Sacramento Bee carried a staff-written online piece and is also likely to have more later. The California stem cell agency and 12 universities and research institutions today officially kicked off an unprecedented, $1.1 billion stem cell lab construction program that Gov. Arnold Schwarzenegger hailed as "good news" for both science and the economy. The agency completed action on the grant program this morning and announced a new total figure for the building effort -- $1.1 billion instead of roughly $800 million. CIRM said the revised amount resulted from "additional institutional commitments for faculty recruitment packages and other related capital costs." "This will go a long way toward medical research that could save lives and improve them for people with chronic diseases. But also, this kind of public-private investment in a growing jobs sector is exactly the kind of good news our economy needs right now." "This Prop. 71 stem cell research facilities program is one of the largest building programs ever dedicated for a new field of medical science and it will deliver an impact that will be felt world-wide." "These facilities will house basic and clinical researchers working collaboratively, with stem-cell-specific core labs literally ‘down the hall’ – an arrangement that is instrumental to our ability to accelerate the pace of research toward clinical application." "California is at the epicenter of stem cell research,.By creating new research centers and attracting the very best scientists from around the world, we will enable the rapid progress of one of the most promising areas of scientific and medical research today. The partnership between public institutions, the state, private foundations and donors demonstrates the unprecedented commitment California is making to stem cell research." "When I made a gift to support the establishment of the Li Ka Shing Center for Biomedical and Health Sciences at Berkeley, I was inspired by the passage of Prop. 71 and the promise of significant advances in stem-cell research." The institutions receiving the government funding are the University of California campuses at Davis, Berkeley, San Francisco, Los Angeles, Merced, Santa Cruz, Santa Barbara and Irvine, the San Diego Stem Cell Consortium (which includes UC San Diego, Scripps, Salk and Burnham institutes), Stanford, USC and the Buck Institute north of San Francisco. Eight of the applicants took a 9 percent reduction in the initially recommended amounts, opting to take the cash sooner rather than later. The California stem cell agency called a news conference for this morning to trumpet its roughly $270 million in grants for stem cell lab construction. But even before the Los Angeles event occurred a number of stories and items popped up. Three large, mainstream outlets that reach hundreds of thousands of readers or listeners carried generally positive reports. A stem cell building "spree" was how Mary Engels described it in the state's largest newspaper, the Los Angeles Times, which generally has ignored the agency. Sabin Russell of the San Francisco Chronicle called it a lab construction "boom." "This is an incredibly unusual opportunity that may never happen again, anywhere," said Ralph O'Rear, vice president for facilities and planning at Buck Institute for Age Research in Novato. Buck is one of the institutions that applied for the grants. The all-news radio station in San Francisco, KCBS, carried a brief item and probably will carry another later today. Coverage by radio and television is especially important for CIRM since most people get their news through those media. Radio stories on all-news stations also are often repeated a number of times throughout the day, magnifying the CIRM message. On the smaller venues, the perspective on the lab program was more skeptical. Chris Thompson on East Bay Express had a jaundiced view on his blog -- he referred to the grants as "hot, sticky money." 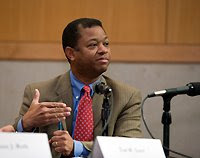 J. Wesley Smith, an attorney, author and foe of hESC research, quoted from the Chronicle story on his blog, Secondhand Smoke, and deplored the effort. "I would have hoped that at a time when California is literally drowning in a $20 billion in deficit, that some restraint would be shown. But who was I kidding? This is the kind of moral corruption, pigs-feeding-at-the-trough kind of excess that undermines the people's confidence in government and our ruling institutions. "Somebody ought to sue: Hint. Hint." In Sacramento, both the California Healthline, an Internet news digest service from the California HealthCare Foundation and the Capitol Basement Internet news service mentioned the Los Angeles Times article in a roundup of California governmental news. Today's news conference is likely to generate some television coverage in the huge Los Angeles market. More stories are likely to ripple out as the 12 recipient institutions send out their news releases in the days ahead. The more aggressive will ship out their stuff today. California's stem cell agency has roughly 800 million reasons to celebrate this week, and well it should. By this time tomorrow, it will have launched a massive wave of construction of labs for research into human embryonic stem cells – certainly the largest in the nation's history and perhaps globally. The final figures are not yet set but the value of the construction could exceed $800 million. Building the labs will serve as a short-term stimulus economically, something to be applauded in these difficult economic times. But more importantly the construction will create a base for scientific growth in California for many decades to come, even if the stem cell dream proves elusive. And that is saying something for a state whose parsimonious government has short-changed its infrastructure since the 1970s. The California Institute for Regenerative Medicine, as the agency is formally known, will set off its building wave with $262 million in grants to 12 universities and research institutions, ranging 600 miles from Sacramento to La Jolla. To earn the taxpayer's largess, the institutions had to come up with additional contributions that pushed the ultimate size of the effort beyond $800 million. And they aggressively tapped private donors for hefty chunks of cash. The grants are the single largest round for CIRM, which has had its difficulties in the past and will have more in the future. But the agency, created by voters in 2004 and unprecedented in state history, has served as a beacon for scientific research nationally and internationally. The agency's grants, which will total more than $500 million by the end of this week, have stimulated a beneficent buzz at a time when researchers bemoan the slow strangulation of research funding at the national level. The agency's actions undoubtedly played a role in the migration of at least 50 scientists to California since Prop. 71 passed, including several luminaries in the stem cell field. More are likely to come in the future. "The resources invested by CIRM will help to maintain California as an international leader in biomedicine during this period of declining federal investment." CIRM has pioneered in other areas as well. Its research standards are a benchmark nationally. It has crafted intellectual policies in areas where you might say no man has gone before. It has fought a court battle to survive and raised tens of millions of dollars in private contributions to get through its early days. All the while operating with a tiny staff (26 or so) that is hardly larger than the number needed to run a 24-hour Burger King. But these no folks are hamburger flippers. Some are scientists in their own right. All are skilled and dedicated. And they all put in incredible effort and hours.